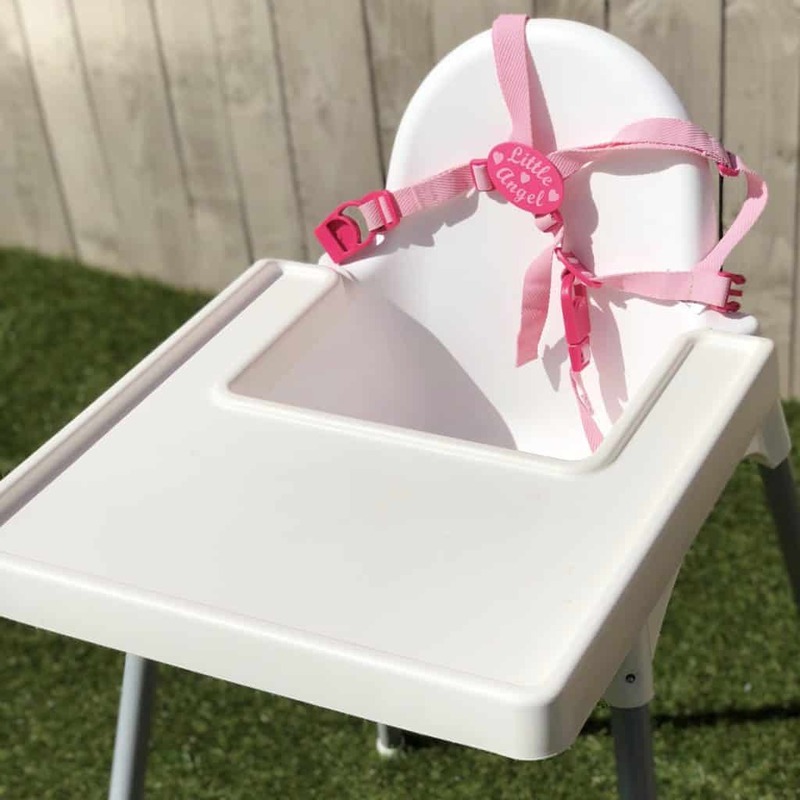 If you have read my Baby Led Weaning Essentials post, you’ll know that in my opinion, the best highchair that you can get for your baby is the IKEA Antilop. 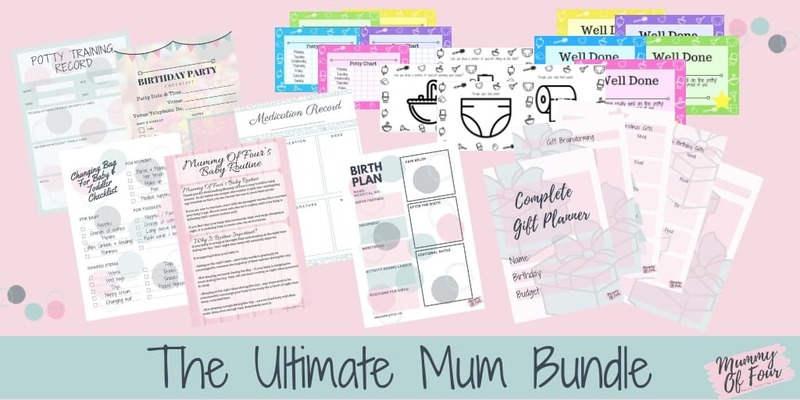 It is an absolute steal at £14 and is super easy to clean. Amazing as this highchair is, it’s pretty basic. 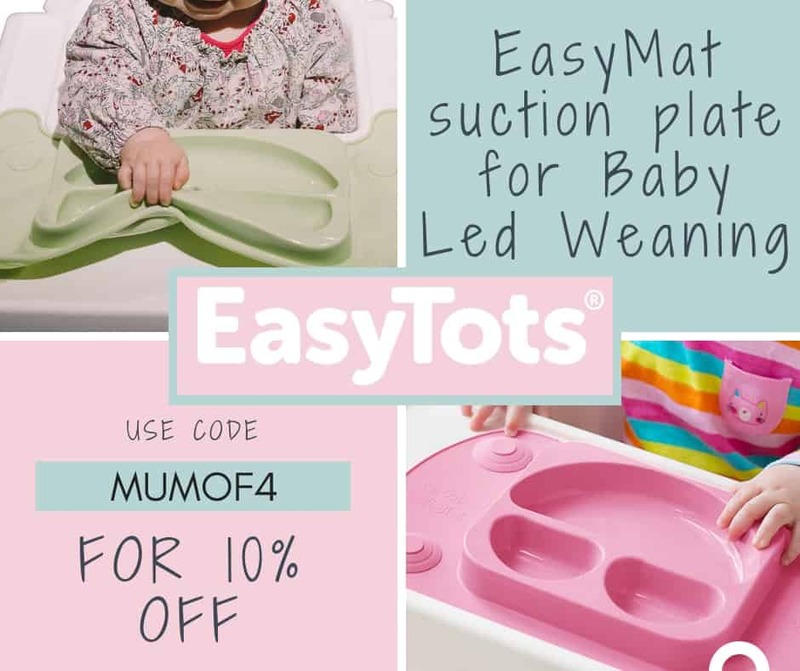 Luckily, with all of the money you have saved from buying such a bargain, you can purchase some essential accessories to make your baby led weaning journey so much easier. 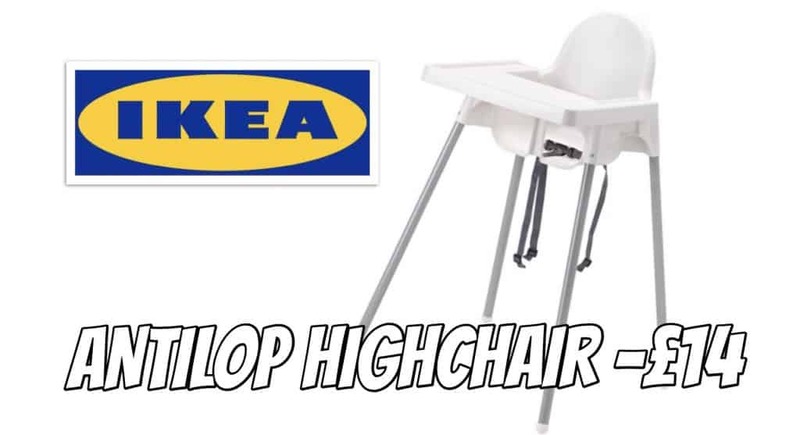 Read on to find out how for less than £62, you can buy and pimp your IKEA highchair. 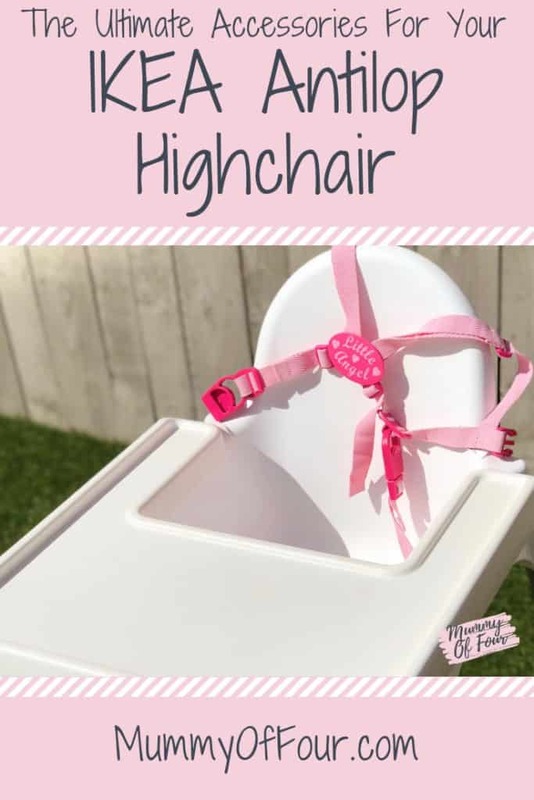 The highchair’s basic seat is free from nooks and crannies, so is easy to clean. In fact, after an especially meal, if you pop the legs off you can shower the seat or even put it in the dishwasher. One of the things that is less than perfect about the IKEA highchair is the straps. 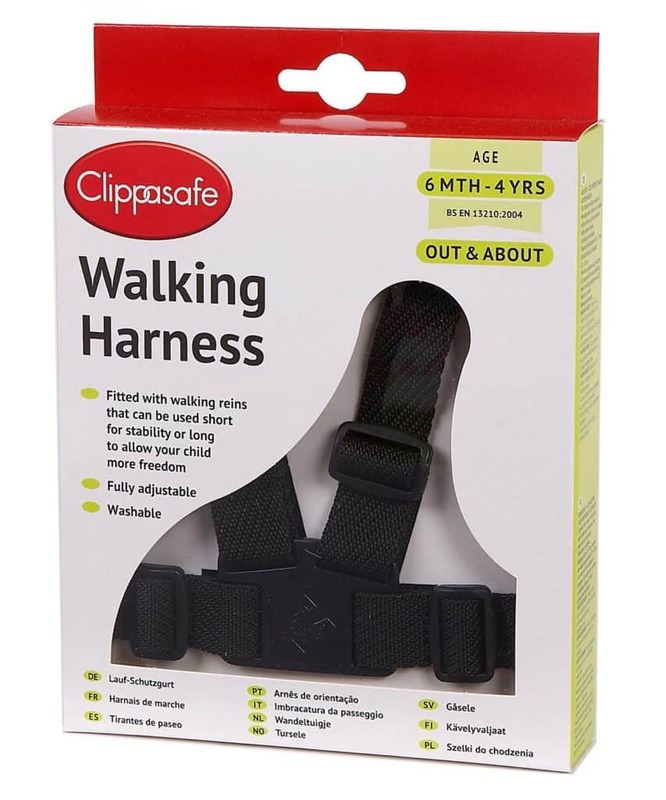 Sadly, the lap belt that comes with it is not nearly enough to secure my wriggly toddler. 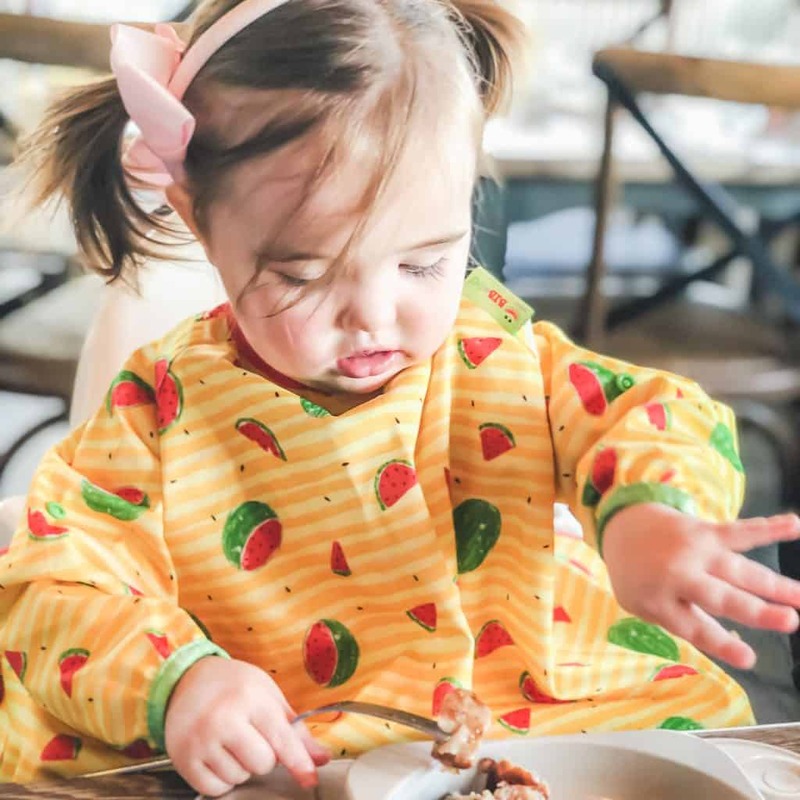 Luckily, with the addition of a harness secured underneath with a carabiner means that the highchair becomes pretty escape proof, even for my adventurous daughter. 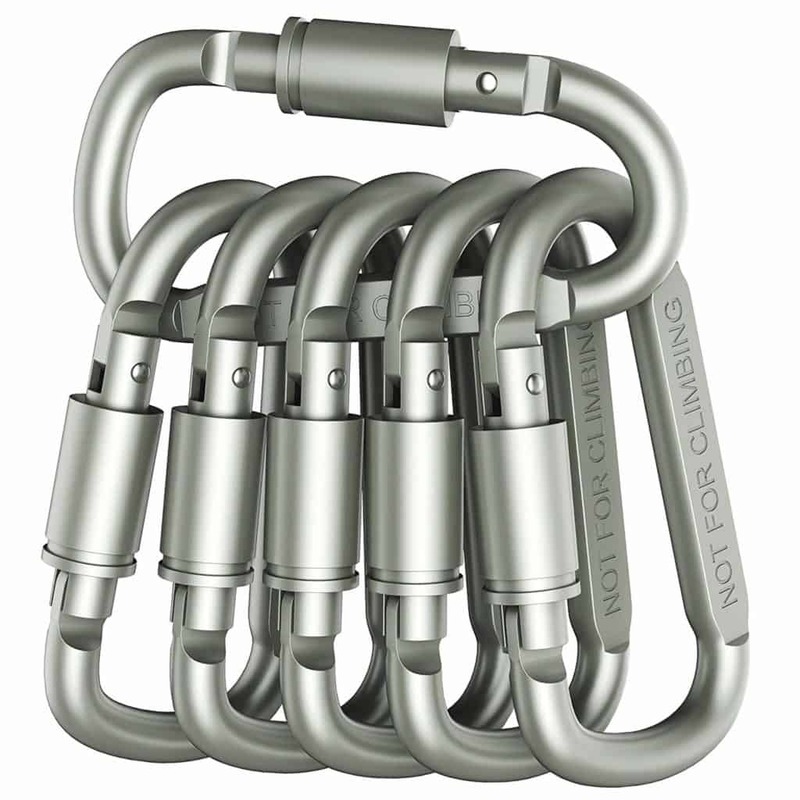 Take a look at the video below for instructions as to how to attach the harness. Since discovering the EasyMat when my youngest was around 9 months I have become a raving fan. 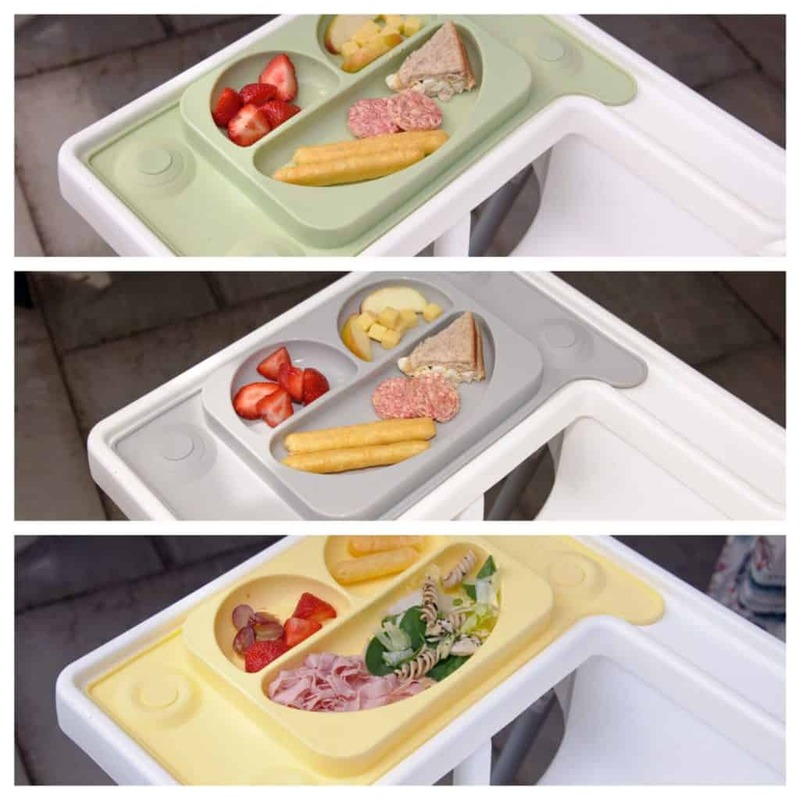 They have since brought out a new EasyMat called the PerfectFit, which is the exact size of the IKEA highchair. The suckers undeneath the mat mean that your baby will not be able to fling it and all of their food onto the floor, like they would with a normal plate. Having tried almost every bib under the sun attempting to protect the clothes of my four children, I have finally found one that really does the job. 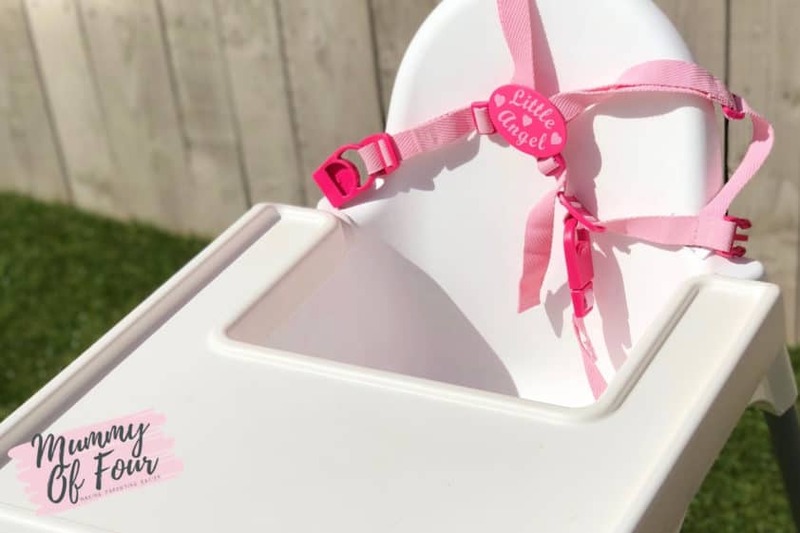 The BIBaDO not only covers baby’s arms and chest, but bridges the gap between the baby and tray too, thus stopping food falling into their laps and causing mess. 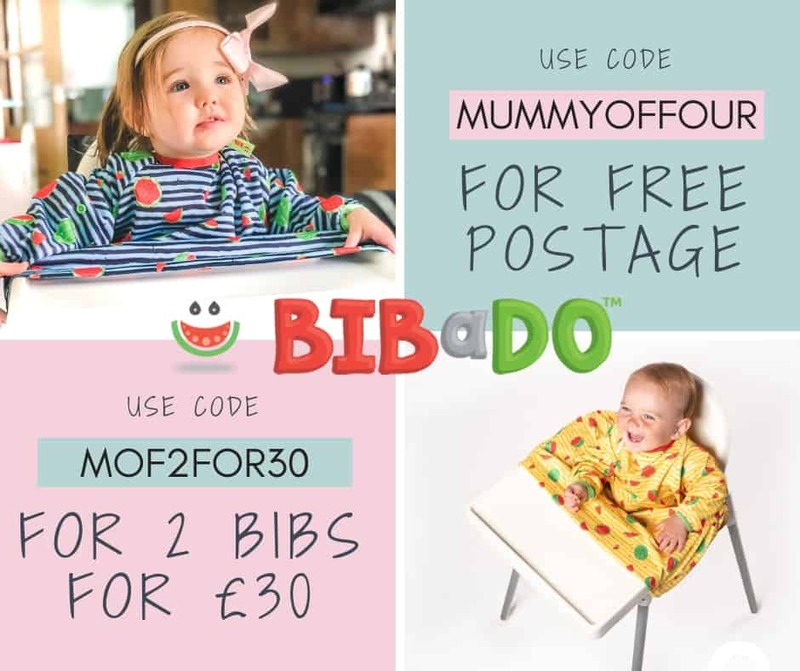 So for just under £62 you’ll be kitted out with not just your highchair but everything that you will need to go with it to minimise the meal time mess.